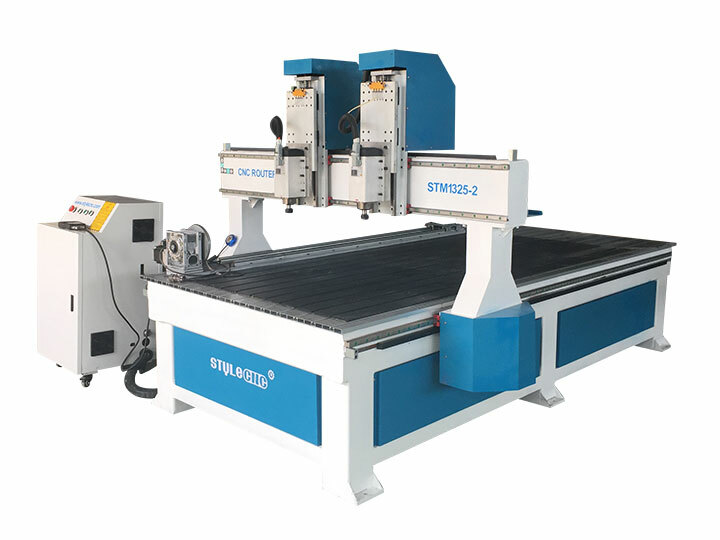 Dual spindles wood CNC machine with 4x8 table size is designed for three dimensional wave plate processing, cupboard doors, wooden doors, window processing, cabinets and panels, computer table and furniture auxiliary processing. Now the 4x8 wood CNC machine for sale with low price. 4x8 wood CNC machine with two spindles is customized for changing the tools within 2-4 pieces. It's not only economic, but also can realize automatic tool change, save the time of manual tool change and improve the working speed and precision. And it can cut two work pieces at the same time to reach the same effect. What's more, this wood CNC machine could mirror-sculpture (same engraving path, but in opposite directions) by changing the cables, which is widely used for door making. Three dimensional wave plate processing, cupboard doors, wooden doors, window processing, video game cabinets and panels, computer table and furniture auxiliary processing. 1. 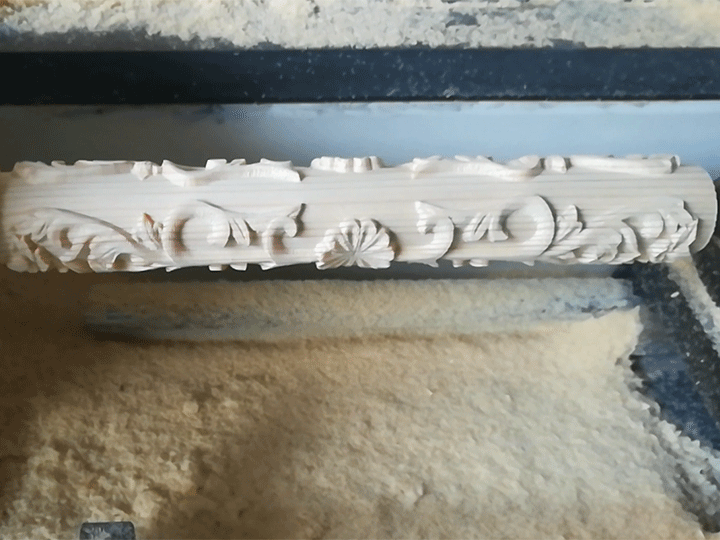 The whole CNC wood machine is welded with thick square seamless steel structure; the stability is excellent, not easy to be deformed. 2. Three axis adopt high precision square orbit, X and Y axis adopt rack and pinion transmission, fast working, high efficiency and low cost. Z axis adopts Taiwan TBI ball screw transmission with high precision and long life time. 3. High power spindles have constant power, low noises and super strong cutting force, which improve workingefficiency greatly. 4. Famous brand drivers and motors have characteristics such as powerful strength, fast processing speed. 5. Well compatibility: CAD/CAM designing software e.g. Type 3/ Artcam/ Castmate/ Wentai etc. 6. 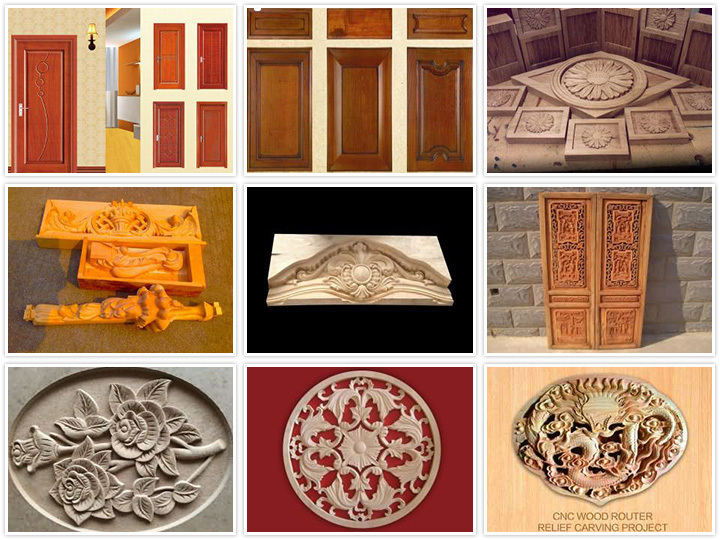 The 4x8 wood CNC machine has the function of re-carving after break point and power failure. 7. The 4x8 wood CNC machine has the function of forecasting process time. 8. Adopting advanced NCstuido system, convenient operation. 10. Independent control box make control easier. 1. 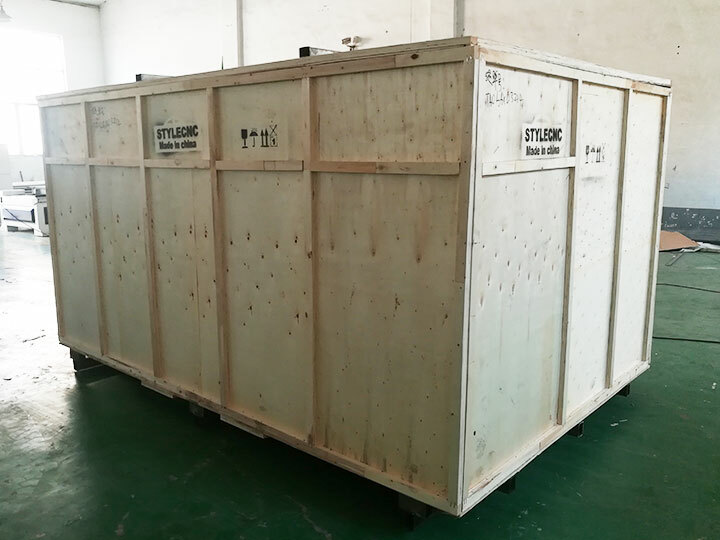 Technical supports and suggestions before you order a CNC wood machine according to your work piece. 2. Professional instruction for the operation of the machine. 3. One year warranty, we will provide the consumable parts at cost price after the warranty period. 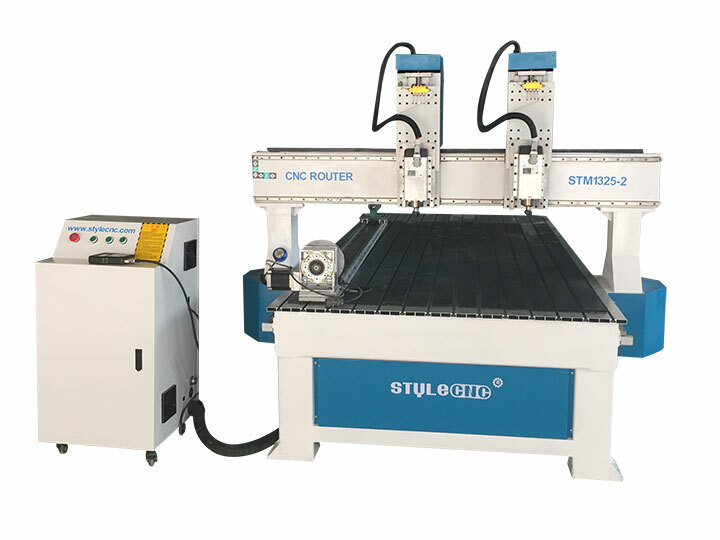 License: The text of "Dual Spindles Wood CNC Machine with 4x8 Table Size for sale with low price" by STYLECNC is licensed under a Creative Commons Attribution 4.0 International License. All is good, excellent quality! Recommend!